On a sunny day the sun's rays pass through a skylight to illuminate this part of my design wall with an abundance of glorious light. How mesmerizing is sunshine on a rainbow! The colors shine so true and lovely. I stare and stare and stare. My current work-in-progress is sewn entirely of scraps. If you look closely, you'll notice that only a few of the scraps I've used have contrasting colors. For instance, I spy a blue background with bright orange flowers and another with yellow flowers on an aqua background. These fabrics have contrasting colors. The vast majority of the fabrics I've used are what I call helpful fabrics. That is, they are fabrics composed of mainly one color or color family, plus neutrals. Helpful fabrics are the bread and butter of my stash. They are super versatile when I'm pulling yardage for a new quilt. Bonus - they even make for versatile scraps! If your fabric stash is lacking in helpful fabrics, you probably have trouble combining fabrics from your stash in creative ways. Helpful fabrics help you be successful mixing fabrics. Or, if you are new to quilting and don't have a stash, take my advice: buy helpful fabrics first. The head turning multi-color prints are fun, but those will find their way into your cart regardless! It's the helpful fabrics that require more intention and tend to have a big pay off. I recently noticed that one of my sponsor shops, Quilt Sandwich Fabrics, has created Color Pack bundles featuring helpful fabrics organized by hue. If you'd like to gather some rainbows, these bundles are a great way to start! I love that they include diverse collections to help you create that scrappy look. The bundles even have a nice balance of geometric and natural prints. Nicely done! 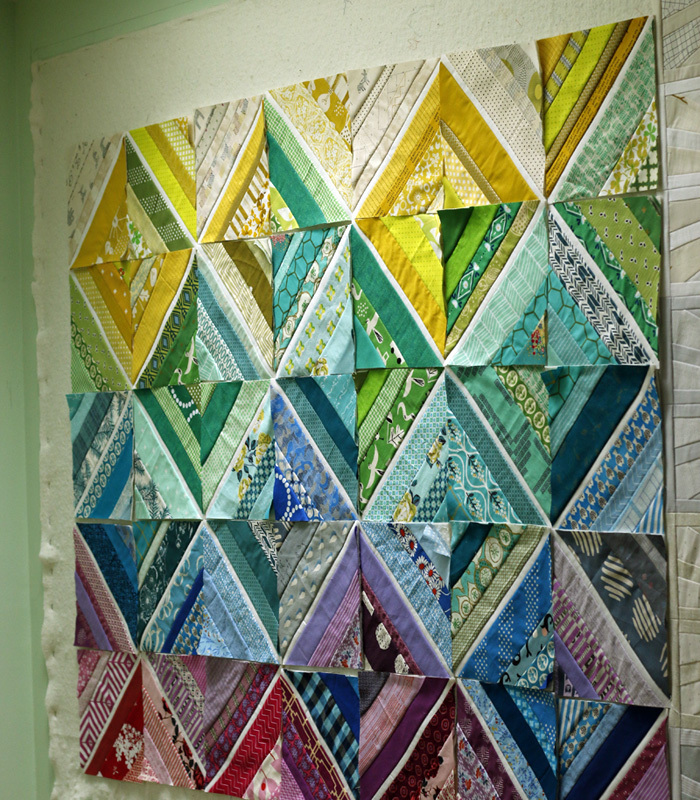 This month Quilt Sandwich is celebrating their ten year anniversary. That's such an accomplishment in the retail industry! 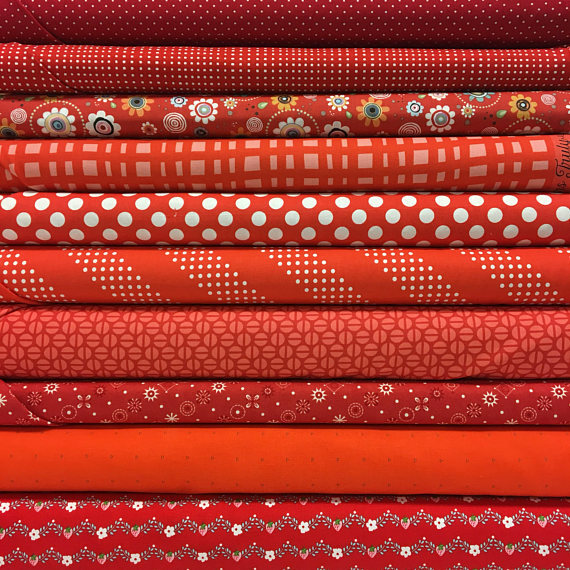 They're giving away free fabric with every order: two fat sixteenths (one red and one blue), plus a heart block pattern. Place your order in May to get your free goodies! Plus, one lucky reader located anywhere in the world will win the Color Pack of his or her choice! To enter, add your comment to this post now through noon Eastern time on Friday, May 4th. I'll select one random winner of a Quilt Sandwich Color Pack on Friday. ****Comments now closed. Congrats to our winner, Jean Anderson in New Zealand.